Why Learn Shamanic Feng Shui? You want to attract healthy and lasting relationships. You want to generate more prosperity. You want to have more self confidence and personal power. You want to have a life full of good fortune. You love helping other people. You’re looking for a new and satisfying career. True Feng Shui works on subtle planes, far below the surface of what is obvious to the casual observer. This is what makes the vast difference between the simple “Art of Placement” and “Shamanic” Feng Shui. Our courses are dedicated to teaching students how to access the shamanic essence in every situation. Our BTB lineage has roots in Tibetan and Taoist Shamanism. Chinese Feng Shui focuses on cultivating Qi through adjustments to your environment. H.H. Professor Lin Yun’s teaching encompassed a full range of Qi cultivation, including Direct Mind Qi Adjustments, Natural Forces, and Feng Shui. Therefore, Feng Shui is just one of the many healing modalities practiced and taught in BTB tradition. You can choose any level(s) of training and commitment that fit your goals. If you want to make your own home “Feng Shui Perfect” to improve finances, or relationships, or levels of comfort and joy, Feng Shui Basics & Beyond will be perfect for you. You’ll learn shamanic methods that will attract good fortune and change life for the better. You’ll learn how to confidently help yourself, and friends too. We also teach what is behind and beyond all of the methods. If you want to delve more deeply, our Advanced Shamanic Feng Shui courses go far above and beyond what is typically taught online, or even in brick & mortar. You’ll learn a wide variety of profound Shamanic practices, receive an introduction to Energy Psychology, plus have the choice of many exciting and valuable (optional) Electives. Professional Shamanic Feng Shui Certification includes even more advanced techniques. This course requires a passing grade in the Advanced Course plus three Electives (included free in this course). By completion, you’ll be more than just a Feng Shui “consultant” or “practitioner”, you’ll have the skills and self-confidence to be a bonafide Feng Shui Shamanic Coach. And you’ll know how to use online technology, so you can work with clients world-wide. —Read her amazing bio, here. Barry Gordon is a Physicist, Meta-physicist, Feng Shui Master, and Advanced Energy Psychology Coach. In 1990, His Holiness Professor Lin Yun designated Barry as Senior Teacher in the Chinese/Tibetan Bon Tradition, and as a Founder of the BTB Feng Shui Professional Training, at the New York Open Center. —Read his bio here. 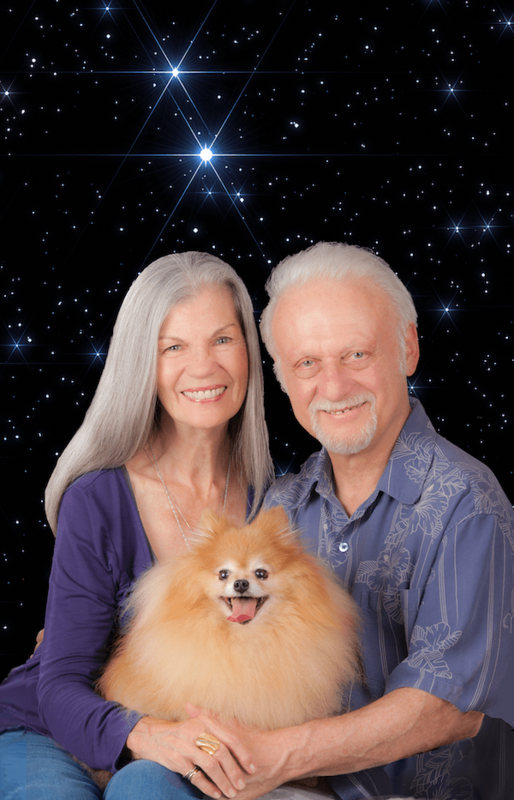 Barry & Gayla traveled the world to receive wisdom, Initiations and Lineage from Kahunas, Shamans, Gurus, Lamas and Energy Psychology Masters. Their deep perceptions and light-hearted wisdom inspire profound transformations. They work with individual clients, world-wide via Zoom.